As an author I was drawn to blogging because it was a way that I could write and express my opinions on almost any subject that I wished. 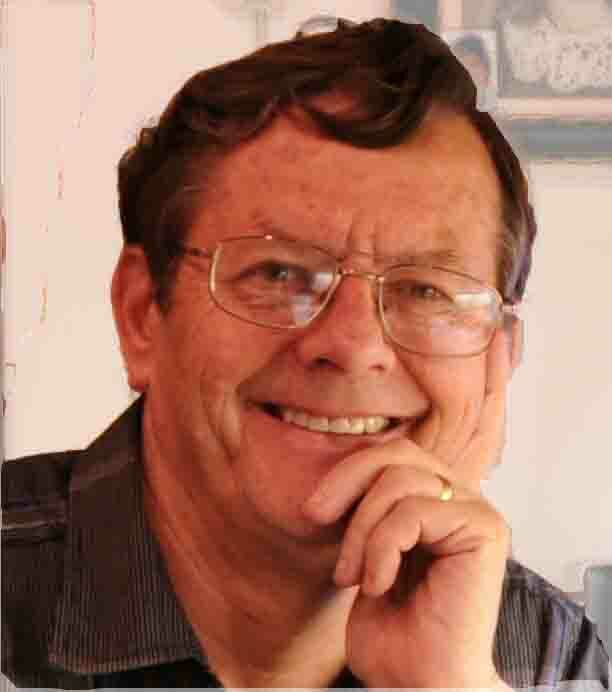 It isn’t as if I was Tom Clancy at all – read all of his books – but I just like to write. And if can write as well as Tom that would be great. But I am a realist in this regard and my writing is not going to be of his calibre – but that’s okay as I enjoy what I do. 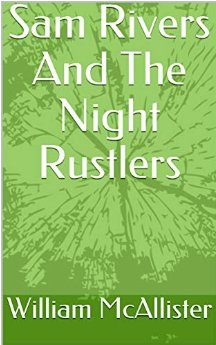 I am in fact the author of three books, two of which are out of print, but the third, “Sam Rivers and the Night Rustlers” is available from Amazon.com. This book was self published, but only after I had it professionally edited two times – and even then, after it was published I noticed there were areas where I could have improved the copy. A columnist in the “Writer’s Digest” said that authors need not to worry about these things. When readers of his works wrote and told him about a fault they had found in his articles he would thank them graciously. In his subsequent publicity he would challenge anyone to find “the fault” and offer a prize to anyone who could reveal it to him. Amazingly this caused his sales to skyrocket. Apparently everyone likes to find fault. “Fourteen-year-old Sam Rivers lives on a farm in rural South Australia and when he, his dog Blackie, and three friends from a neighbouring farm set out to explore the eerie sandhills at the back of the farm, they discover the perfect place to build a fort.The night before the four friends embark to begin creating their fort with a secret lookout, twenty more sheep disappear from a property down the road. Sheep rustling is rampant and when Sam and his friends discover strange tyre tracks by their fort, they realize the rustlers are preparing to raid Sam’s farm. The four scheme to catch the gang responsible by lying in wait in the fort during the night and then reporting the rustlers to the police. But even the best-laid plans have faults. Sam and his friends put their lives in danger while trying to catch the rustlers, but are even more dismayed to discover they have been betrayed by a trusted friend. Locked in shearer’s quarters with an old couple, Sam must find a way out, but in the end, it is up to man’s best friend to try and save them all”. Now for those who are interested I have included the first few paragraphs of my book here for you and I confess that I have been told of a fault – not found in these paragraphs. The fault is not of the grammatical variety (there a couple of those) but relating to the tools our hero uses in his adventure (I really have told you too much already). A sudden barking outside his bedroom woke Sam. He jerked upward, eyes wide and sweat pouring from his brow. “Crickey, Blackie!” he called through the window, “you spoiled a great dream I was having.” Blackie had proved wayward as a sheep dog, which is how he became Sam’s pet. In fact he wasn’t even black—he was a red-brown—but Sam’s father reckoned he must have been the “black-sheep” of his family. So Blackie became his name. Magpies warbled in the eucalypt trees surrounding the farm, competing with the raucous galahs. Chickens scratched and scurried around in the warmth of the early morning summer sun. “Crikey, what a beaut day to start the school holidays,” Sam thought. He leaned out of the window and patted Blackie. “I can’t ride you, like the horse in my dream, but at least today we’re going to explore the sandhills. You might be able to chase a few rabbits or maybe a kangaroo.” When Blackie heard the word “rabbits” his tail wagged excitedly, but he wasn’t too sure about kangaroos—past experiences had made him wary. I know all the fault finders will be out in their droves to pick and pull at the quoted narrative. I have had people tell me that a novel should never start with someone dreaming- but read many best sellers that commenced that way. So really it up to you to do what you want in life and hopefully you get a kind publisher. Now to be able to blog authors need a good blogging platform – and we all know that there are many on the market. I use a WordPress platform and utilise a couple of plugins. Now WordPress has introduced a new editing system called Gutenberg (obviously a memorium of the first printing press ever, The Gutenberg). The uses for a blogging plaftorm are as many as you could imagine. 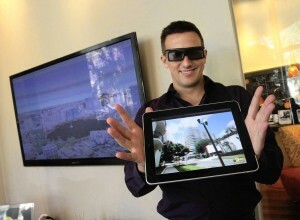 A realestate agent could upload a video with as much text as he likes and immediately place it in his blog. A mechanic may be working on an engine and decides he wants to write an article about what he is doing – then photograh or video his work and immediately upload to his blog – without using YouTube Vimeo – or what ever. And if he wanted to include audio it’s just as easy. Text, video or audio included on you blog and from your mobile phone or tablet (or from you PC/Mac) and ready to publish minutes after you have uploaded. Message me if you want to discuss writing or even a blogging platform.